Who doesn't love pancakes? Unfortunately most pancakes are made with flour and milk, which is unhealthy and will just make you hungry in a few hours. Pumpkin is great to eat this time of year, as it contains a lot of potassium which can help lower blood pressure and help reduce the risk of a stroke. These gluten-free pancakes are filled with protein and are dairy-free. With the added benefits of pumpkin, here is a healthy breakfast (or dinner!) for kids and adults. Like pumkpin? Try our Pumpkin Spice Protein Shake recipe. 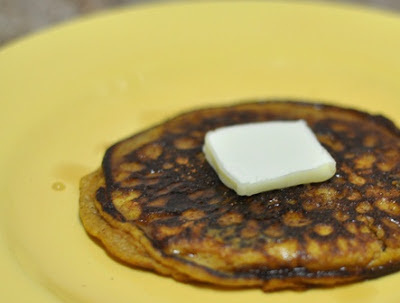 This is a paleo recipe that is gluten-free and dairy-free. Especially when it comes to your health, the more support you have, the more success you will have. Surround yourself with positive, successful people who make their health a priority. Come to a free health class at Kehres Health & Chiropractic in Saginaw to join a healthy community! 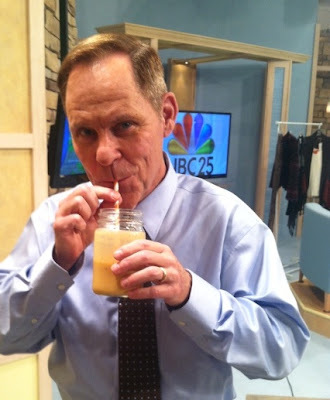 Read A Healthy Halloween Treat and see other NBC 25 segments featuring Dr. Kehres. I love Halloween. The weather is great, apple cider is in season and it is fun to see kids dressed up for trick or treating. 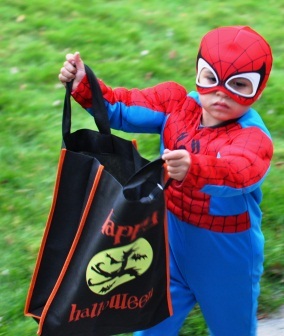 The only thing I don't love about Halloween is the amount of sugar kids consume in a short period of time. Most fun size Halloween candies have 7 - 12 grams of sugar in each of them. If your child eats 30 pieces of Halloween candy, it is like drinking eight cans of Coke! Last year we were looking for a healthy alternative to candy... but something the kids would still enjoy. We gave out glow stick bracelets as a Halloween treat and kids loved them! We helped kids put them on so they could wear them instantly. 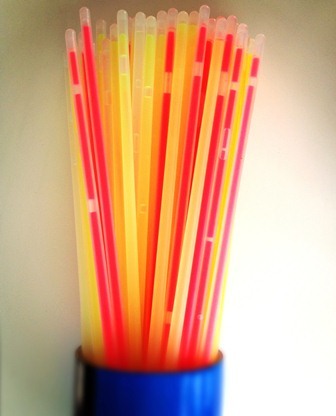 We just received glow stick bracelets in the mail again this year as we purchase them online. On Amazon.com, they are approximately $.08 each, which is cheaper than a fun size Kit Kat ($.09 each) or Snickers ($.16 each). Enjoy treats 20 percent of the time... but eight cans of Coke for anyone, especially a child, is too much sugar. Consider non-candy Halloween treats, ration out a few treats a night or create a candy buy back program in your house to give them cash instead (just make sure you don't eat it yourself!). Choose a healthier Halloween this year and you'll do your whole family, and neighborhood, a favor. Visit Amazon.com to see the glow stick bracelets we ordered, they come in packs of 100 or 300. Since we ordered more than $30 worth, we also got free shipping! Think of a healthy, older person that you know. Now picture an unhealthy, older person. What are the main differences between them? 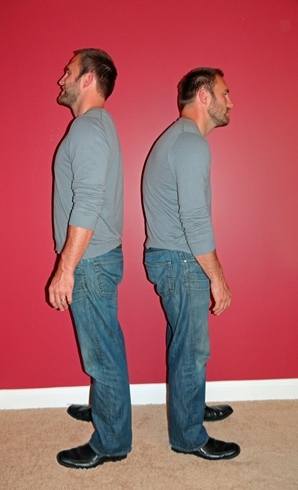 An unhealthy person is slouched forward, with their back hunched over. A healthy person is up right, standing tall, full of energy when they walk into a room. As a chiropractor, I have seen how important proper posture is -- posture dictates your health. The sooner you start to improve your posture, the healthier you will be. Improving your posture can be done through awareness, simple exercises and chiropractic. This month we will be sharing tips on how to improve your posture, and improve your health. Proper posture can help relieve back pain, but it can also improve your breathing (the more oxygen you take in, the more energy you will have), prevent headaches, help with digestive issues and more. Watch the video of the Bruegger's Stretch below to see an exercise you can do, even while at work, to improve your posture.